‘Tis the season of giving! 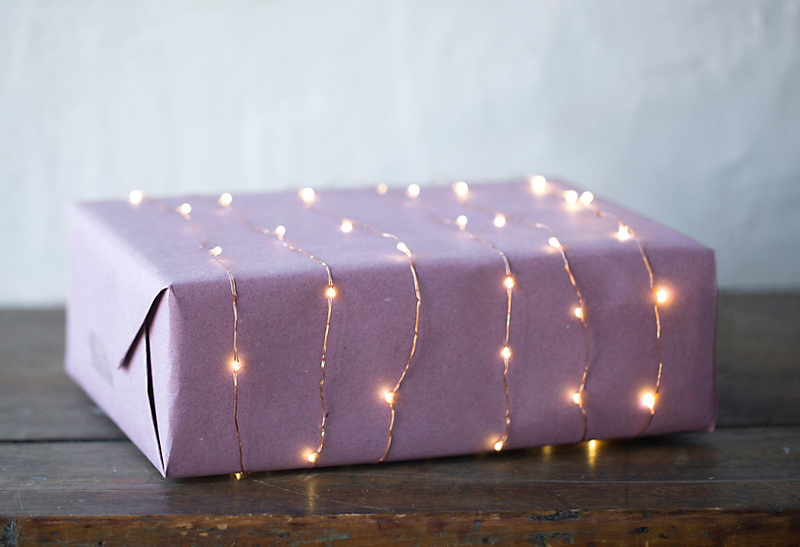 We love these ways to creatively amp up your gift wrapping skills. They’re so cute, it’s almost a shame to tear through them…almost. A few touches of live greens look naturally beautiful and they come with a fresh scent of evergreen. Shop fresh boughs right now in our greenhouses. Hurry in…fresh items always go quick! Who says gift card packaging is always a bore? 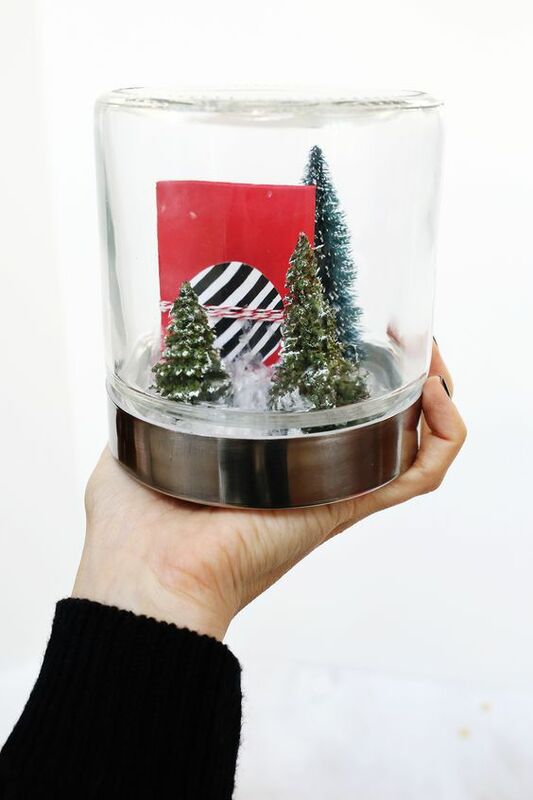 Deliver them inside a DIY snow globe! Simply glue your mini trees to the bottom of the lid, add some loose faux snow and viola – gift card packaging managed. We love the look in a mason jar, available in our Prairie Gardens Wedding Department. 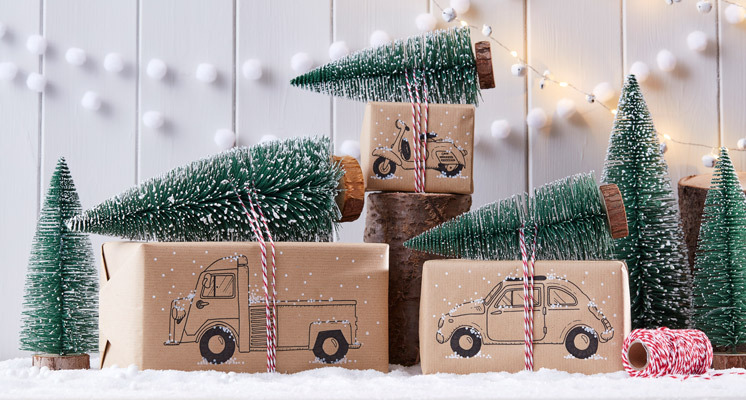 Tree tops on car tops is trending hard this year, so we’re loving the look translated into gift wrapping. They’ll be sure to travel right into the hearts of your gift receivers. Candy and presents?? Win, win. 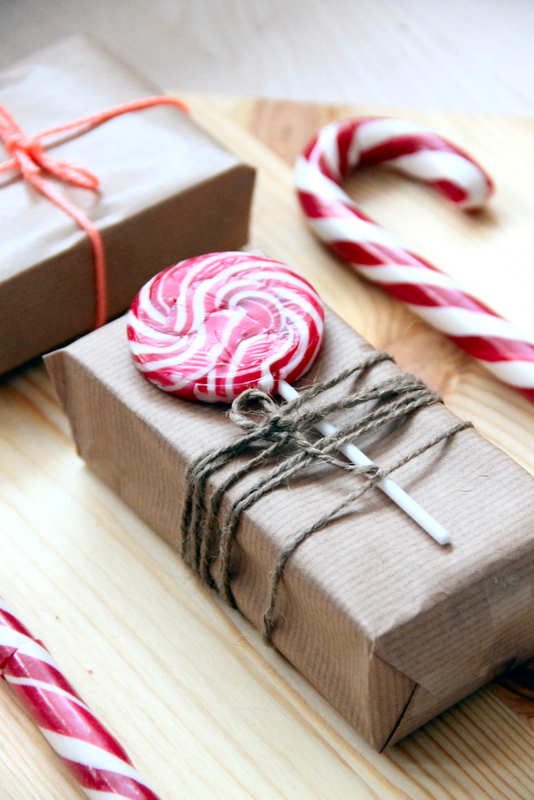 Tie them up with twine, ribbon and more for fun pops of sweet color for your sweet-toothed family and friends. 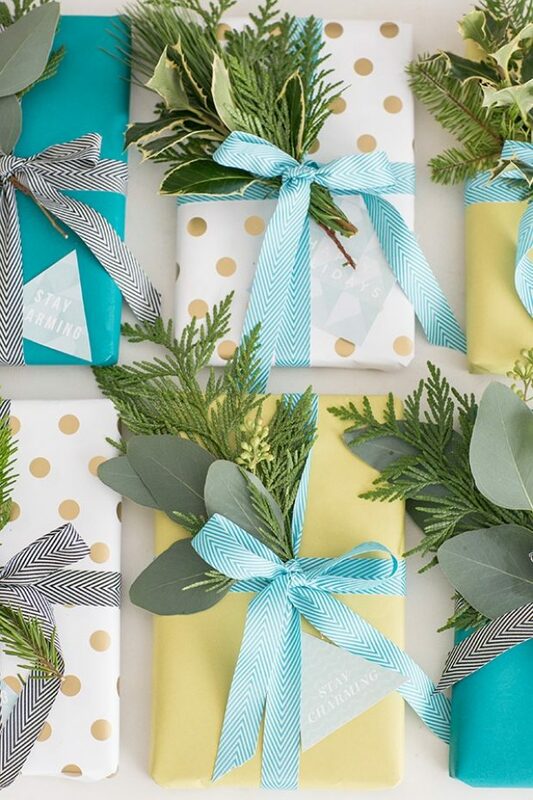 Faux floral picks are perfect additions to your wrapping and don’t break the budget. Cut them up and sprinkle them on multiple gifts. Find an incredible selection of Christmas picks, stems and more in Prairie Gardens Floral Department. LED light strands add simple sparkle to that’s hard not to love. Opt for battery-operated styles of course, so your gifts can travel. See many styles twinkling Prairie Gardens Light Department. Bright, bold ribbon is always a must for packages that pop! Find your favorite colors and styles in Prairie GardensFloral Department. We love the personal touch of adding photos to your packages. They’ll take your gift receivers on a lovely trip down memory lane. 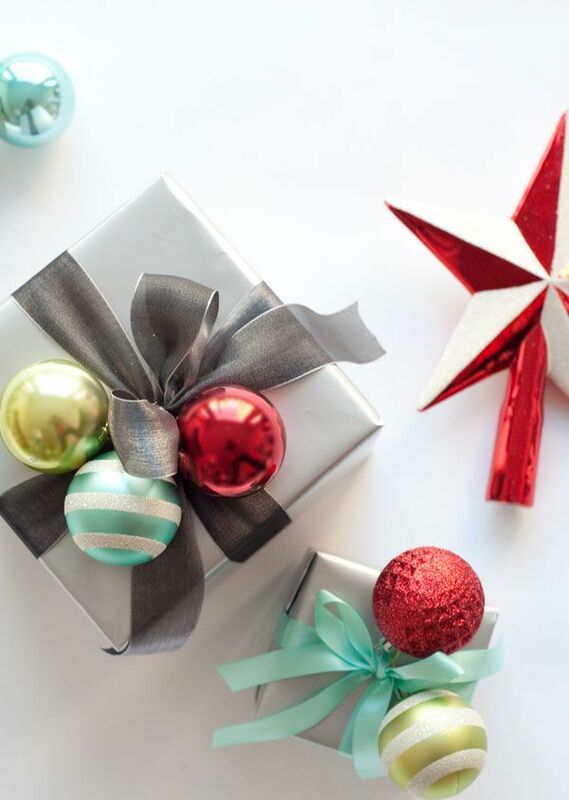 You don’t have to go big – mini ornaments add and ever-so-small touch to your gifts and make gift wrapping a cinch. Using a candle ring in the center of a gift is one of our favorite present wrapping hacks. Simply attach it with a little bit of twine or ribbon and you have a mini wreath adornment perfect for the season. Gift on the outside, gift on the inside! Use a scarf with a top-knot tie and double up the gifting. Visit our Boutique for the latest scarf styles, all at guilt-free prices. In need of the perfect gift? Click for Prairie Gardens Top Gift Picks!